Cell-based assays streamline the drug discovery and development process, implementation can help avoid costly toxicity and efficacy issues that may arise at later phases of clinical trials. Cell-based assays provide invaluable biological information about cellular processes, cellular viability, drug mechanisms of action, and off-target effects. The global market for cell-based assays was an estimated $17 billion in 2016 and is expected to reach $28 billion by 2021, with the United States comprising half the market1. The leading cause of death and disability in the United States is due to chronic diseases such as cancer, cardiovascular disease, neurodegenerative disorders, obesity, diabetes, and arthritis2. This increasing disease burden and corresponding economic burden gives rise to the growing utilization of cell-based assays. Ultimately the goal is to discover new therapeutics, or new approaches to treatment, and to get these to market in a timely and effective manner. The data obtained from cell-based assays can also give insight into disease mechanisms, thereby expanding current scientific knowledge and identifying novel therapeutic targets and pathways. Cell-based assays are diverse in nature and can be designed to specifically address the needs of individual researchers. The signal readout is also variable and can be fluorescence, luminescence, colorimetric, or radioactivity depending upon the variable to be measured. Signals can be measured using microscopy, flow cytometers or plate readers. Some common assays are discussed below. Due to their scalability and feasibility, cell-based assays are being used in HTS to simultaneously test many compounds under various conditions. This yields large amounts of data and is usually used to identify candidate drug leads at the beginning of the drug discovery process. Once a lead candidate is identified, the viability of healthy and diseased cells in the presence of the compound needs to be determined. Ideally, a range of concentrations and incubation times should be performed. There are several ways to measure cell viability; one of the most dependable readouts is to measure intracellular ATP. In particular, a recent comparative study3 found that Promega’s CellTiterGlo reagent gave the best correlation with cell count data. These assays monitor the growth rate of cells over a given time period. Since cellular proliferation is vital to tissue and cellular equilibrium necessary for proper growth, development, and maintenance of an organism, this assay can help give insight into how a drug will affect normal and diseased cells/tissue in vivo. For example, it is ideal if a compound can inhibit the growth of cancerous cells while allowing normal growth for healthy cells. The mechanism of growth inhibition can then be further probed using other cell-based assays. It is important to determine the extent of induced cellular death in healthy and diseased cells, which can translate into compound efficacy and potential toxicity in vivo. This can be achieved by using dyes that are incorporated into dead and dying cells. Additionally, knowing the mechanisms of cell death induced by a given compound provides insight into the drug’s mechanism of action. The hallmark of apoptosis (programmed cell death type 1) is exposure of phosphatidylserine (PS) on the extracellular surface of the plasma membrane, activation of caspases, disruption of mitochondrial membrane potential, cell shrinkage, DNA fragmentation, and condensation. As such, there are numerous output variables to measure, but a common measure of apoptosis is by use of conjugated annexin staining. Annexins bind to the exposed PS in a calcium-dependent manner, and the resulting signal given from the conjugate can be read by flow cytometry or a plate reader. Autophagy (programmed cell death type 2) is selective degradation of intracellular targets, such as misfolded proteins or damaged organelles and is known to play a key role in the pathogenesis of many chronic and infectious diseases4. Dyes can be used to measure autophagic vesicle accumulation. Lastly, necrosis (programmed cell death type 3) is characterized by morphological changes such as swelling and destruction of the plasma membrane and organelles. With advancements in technology and commercial kits, both early apoptosis and subsequent necrosis can be monitored in real-time (Promega’s RealTime-Glo™ Annexin V Apoptosis and Necrosis Assay), providing detailed data about a drug’s mechanism of action. These assays can identify how a candidate drug affects cells in an autocrine and/or paracrine manner. Cell signaling can be measured by a variety of techniques, such as intracellular calcium flux, change in intracellular pH, metabolic assays, proliferation and gene expression. Additionally, signal transduction cascades result in the activation or modification of downstream messengers and these changes, such as phosphorylation or subcellular location, can be evaluated by methods such as immunohistochemistry. Alterations to cellular metabolism are associated with cancers, neurodegeneration, and other diseases. These assays can provide detailed mechanisms about how a drug is affecting numerous aspects of cellular metabolism and oxidative stress. For example, mitochondrial function, oxygen consumption, glycolysis, fatty acid metabolism, glucose uptake, antioxidants, metabolite levels, and enzyme activities can all be measured in response to drug treatment. These assays are useful to determine the affinity of a drug/receptor interaction, the ability of a drug to disrupt or promote an endogenous ligand/receptor interaction and to confirm receptor activation/inhibition. Activation of receptors can be measured by evaluating downstream events such as phosphorylation for tyrosine kinase receptors and calcium flux or cyclic adenosine monophosphate (cAMP) generation for G protein–coupled receptors (GPCRs). These assays provide sensitive, rapid and robust signal output upon activation or inhibition of specific pathways. This approach can provide crucial mechanistic information about a drug in early phases and based on these results, primary gene responses (which often take longer to tease apart and require more sensitive approaches) can then be validated. One of the major difficulties of cell-based assays is to generate a reproducible and consistent assay that best reflects the biology and physiology of the disease in question. Optimization is often necessary after obtaining preliminary results. Often, data obtained from one experiment leads to the generation of new assays that will provide more knowledge about the drugs potency and/or mechanism of action. Higher quality preclinical data will promote higher quality clinical data as the drug progresses towards market. As the majority of drugs fail to reach market, the approach of drug discovery has been shifting towards using more relevant disease models. As such, primary tissue and cells obtained from diagnosed patients are the best models to use when evaluating potential therapeutics. A low passage number should be used, consistent across all samples in the study. Immortalized cells do not reflect the biology of the disease and have been shown to exhibit inconsistent results in cell-based assays. For example, a recent study found that primary macrophages were more susceptible to Ebola virus infection compared to immortalized Vero and Huh 7 cells, which needed high virus input to detect replication and spread5. The study also found that higher EC50s were observed with increasing input virus and longer assay time. Additionally, Vero cells exhibited significant differences in ability to be infected by Ebola virus across passages; low and high passages were more refractory than cells at passage 10-12. Using immortalized cells contributes to non-reproducibility and non-clinical relevancy. Additionally, it has been shown that a 3D culture model more closely reflects the genetic profile of clinical specimens compared to traditional 2D cell culture models, and thus may have a greater power to predict clinical efficacies6. A 3D model may better suit certain experimental designs, particularly when evaluating anti-tumorigenic compounds or tumor invasion assays. This may seem like an obvious point, but errors due to pipetting and seeding cells contribute to inaccurate results and increases experimental variability. Pipettes should be routinely calibrated and volumes should be carefully observed during pipetting. When diluting drugs, even a few microliters difference between samples can result in dramatic differences in datasets. This is especially true when using multi-well pipettors, which tend to display variability in volume based on how firmly and evenly the pipette tips are pressed into the pipettor. Pipette tips should not be reused for risk of cross-contamination. Taking efforts to reduce the edge effect by using specialized plates, or letting cells sit at room temperature for a few minutes to allow even seeding prior to placing inside incubator. Do not stack microplates on top of one another as this contributes to uneven temperature and gas exchange, which can contribute to variability. It is also helpful to use room temperature media when seeding cells versus pre-warmed media, as room temperature media allows for even dispersal of cells across the wells. Additionally, practicing stringent aseptic techniques will improve dataset quality as mycoplasma, fungi, or bacterial contamination can significantly alter data, or render valuable patient samples as unusable. Ideally, a pilot time-course experiment with multiple concentrations and cell densities should be performed to determine optimal conditions for assay. Cells can respond to drugs differently based on cell density, rate of growth, and duration of incubation. For longer incubation periods, the stability of the drug also needs to be considered; perhaps daily changes of media with fresh drug should be explored. A thorough understanding of the assay in question will help to identify key parameters. For example, if apoptosis is to be measured, looking at early time points are often key since this event can be triggered quickly. Incorporating Phenotypic and Biochemical Data. Phenotypical data can be used to validate biochemical data and can reveal previously unknown knowledge about a drug/disease system. Images of cells can provide information that raw numbers simply cannot. Since signal outputs are often measured by luminescence and fluorescence, and multiple variables can influence these signals, having documented images of cells during the assay can help identify and explain potential issues that may arise. 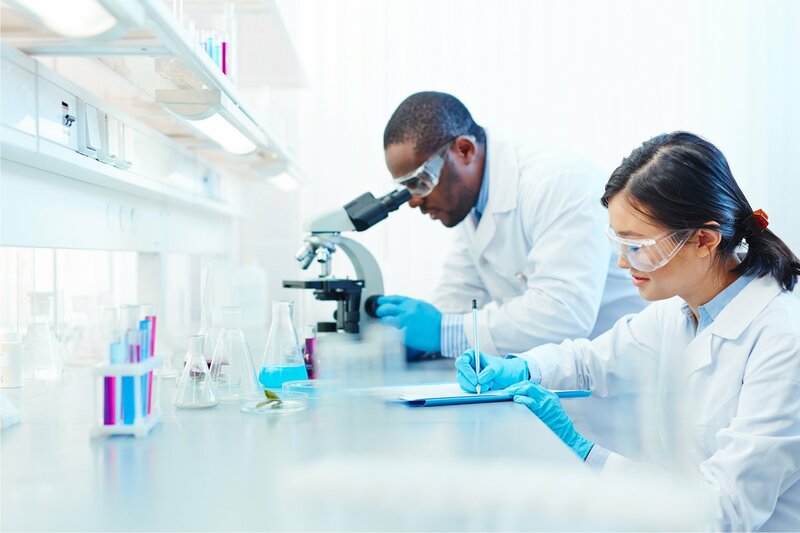 Learn more about our customized cell-based assays, as well as the primary normal and diseased cells we use to conduct our experiments.